State-of-the-art learning and innovative teaching hubs will form key elements of the new Inner City South State Secondary College in Dutton Park’s knowledge precinct. The Brisbane Knowledge Corridor is an education, health, research and hospital precinct serviced by major public transport hubs including Brisbane’s Cross River Rail and Brisbane Metro. 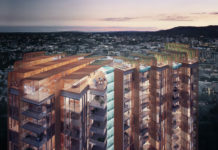 The school’s integration within this knowledge-based cluster of facilities is proposed to provide collaboration partnerships with UQ and other local programs. Deputy Premier and Member for South Brisbane Jackie Trad released the new concept master plan and designs for the new high school for community feedback today. 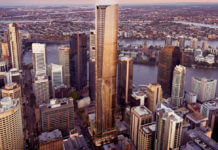 Ms Trad said the Brisbane-based team of architects and consultants leading the designs, BVN, were appointed in late 2018. “The concept master plan for the new state high school is a key milestone, bringing this project to life through the design of contemporary learning centres set around an inspiring outdoor learning plaza that will form the heart of the school site,” Ms Trad said. “The learning plaza will become the central gathering space at the school and provides a strong sense of community in this inner-urban context. “This game-changing project is part of the Queensland Government’s $800 million Building Future Schools Fund. “Stage One of the new high school will be completed in time for foundation Year 7 students to commence in Term 1, 2021, with the school continuing to grow a year level each year through to 2026 when the school will offer Year 7 to Year 12. Ms Trad said the community would continue to play a vital role in the development of this flagship school for the inner south. The school will welcome its first intake of Foundation Year 7 students at the start of Term 1, 2021 and will deliver innovative education and curriculum through a partnership with the University of Queensland (UQ).